Member of Parliament of Ukraine from the Batkivshchyna parliamentary faction Nadiia Savchenko has visited the Belarusian city of Minsk to attend talks with leaders of Donbas terrorist organizations, the Donetsk People's Republic ("DPR") and Luhansk People's Republic ("LPR"), according to Ukrainian news portal Obozrevatel. "It is no secret that the Minsk peace negotiations have stalled, but talks are going on 'on all fronts.' Both ["DPR" leader Alexander] Zakharchenko and ["LPR" leader Igor] Plotnitsky do not refuse to meet if it concerns the exchange of prisoners of war (POWs). And we, of course, need to pull our own people out of there, and in this situation we are ready to negotiate with anyone," a source who was also at the talks in the Belarusian capital told Obozrevatel. According to the source, it was Volodymyr Ruban, the head of NGO Officer Corps, which is actively engaged in POW swaps, who agreed to take Savchenko to the Minsk negotiations, but her behavior there was "dangerous." Read alsoFeygin: Chances for release of political prisoners from Russia poor"Nadiia has always been volatile, and this conduct is simply unacceptable during negotiations. In Minsk, she began to insist on a particular formula of POW swaps. And Ruban could not stand and put her in her place, asking: 'Are you here to set conditions?'" the source gave details. 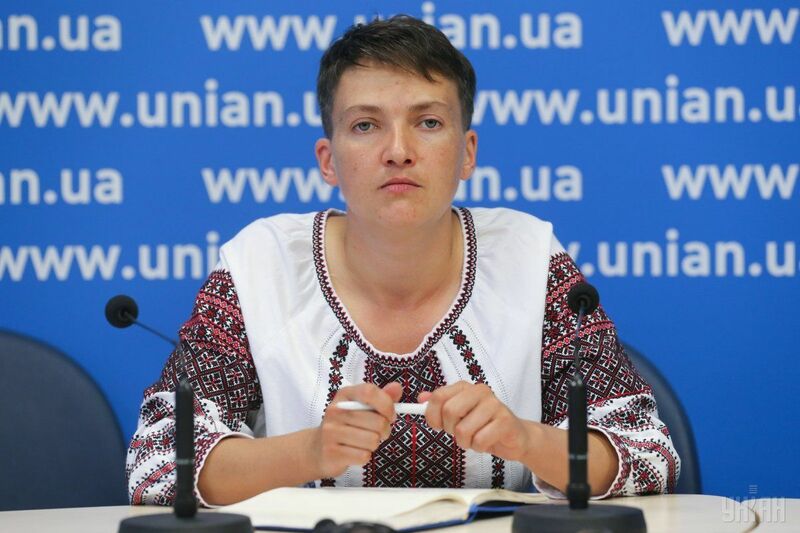 Savchenko's behaving that way could seriously harm the negotiations on the exchange of POWs, the source said, and respectively the release of Ukrainians, as "every word in the negotiation process must be weighed carefully, verified and correct." Read alsoSavchenko plans to become independent politicianThe source says most likely it was someone from the SBU Security Service of Ukraine who shared information with former journalist of NGO Dorozhniy Kontrol (Road Control) Andriy Dzindzia about Savchenko's meeting with Plotnitsky and Zakharchenko. Dzindzia was the first who reported about her recent trip to Minsk. Only a few people had access to information about these talks, and such negotiations are in fact impossible without the security service's knowledge. "The press wasn't supposed to be involved, because POW talks are almost always conducted behind closed doors and only the outcome, i.e. the release of men, is usually announced. And any preannouncement of such a meeting could disrupt the process," the source said. Savchenko was earlier reported to have secretly visited Minsk on December 7. There she met with Donbas terrorist leaders Zakharchenko and Plotnitsky. Plotnitsky on December 12 confirmed his meeting with Savchenko, while she still refuses to comment on it.